So far they’ve performed extremely precise measurements for all sort of properties: mass, electric charge and so on, but no difference has yet been found. Last year, scientists at CERN’s Antihydrogen Laser PHysics Apparatus (ALPHA) experiment probed an atom of anti-hydrogen with light for the first time, again finding no difference when compared with an atom of hydrogen. But one property was known only to middling accuracy compared to the others – the magnetic moment of the antiproton. Ten years ago, Stefan Ulmerand his team at BASE collaboration set themselves the task of trying to measure it. First they had to develop a way to directly measure the magnetic moment of the regular proton. They did this by trapping individual protons in a magnetic field, and driving quantum jumps in its spin using another magnetic field. This measurement was itself a groundbreaking achievement reported in Nature in 2014.Next, they had to perform the same measurement on antiprotons – a task made doubly difficult by the fact that antiprotons will immediately annihilate on contact with any matter. To do it, the team used the coldest and longest-lived antimatter ever created. 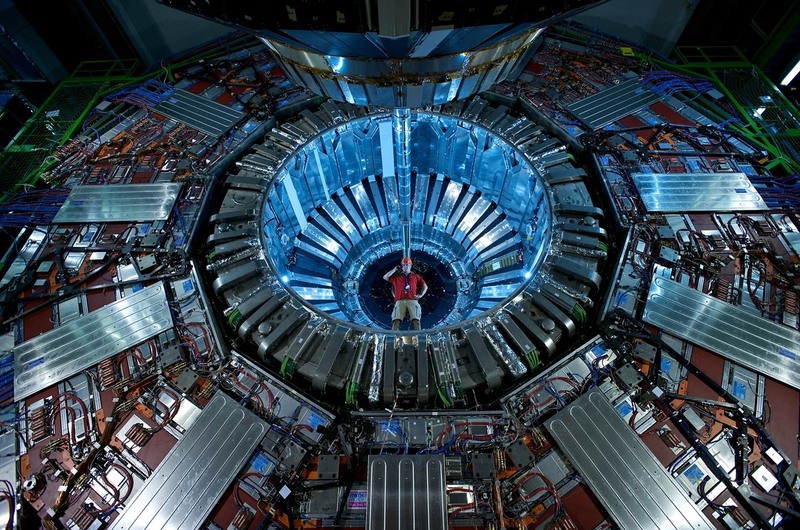 After creating the antiprotons in 2015, the team were able to store them for more than a year inside a special chamber about the size and shape of a can of Pringles. Since no physical container can hold antimatter, physicists use magnetic and electric fields to contain the material in devices called Penning traps. Usually the antimatter lifetime is limited by imperfections in the traps – little instabilities allow the antimatter to leak through. But by using a combination of two traps, the BASE team made the most perfect antimatter chamber ever – holding the antiprotons for 405 days. This stable storage allowed them to run their magnetic moment measurement on the antiprotons. The result gave a value for the antiproton magnetic moment of −2.7928473441 μN. (μN is a constant called the nuclear magneton.) Apart from the minus sign, this is identical to the previous measurement for the proton. The new measurement is precise to nine significant digits, the equivalent of measuring the circumference of the Earth to within a few centimeters, and 350 times more precise than any previous measurement.